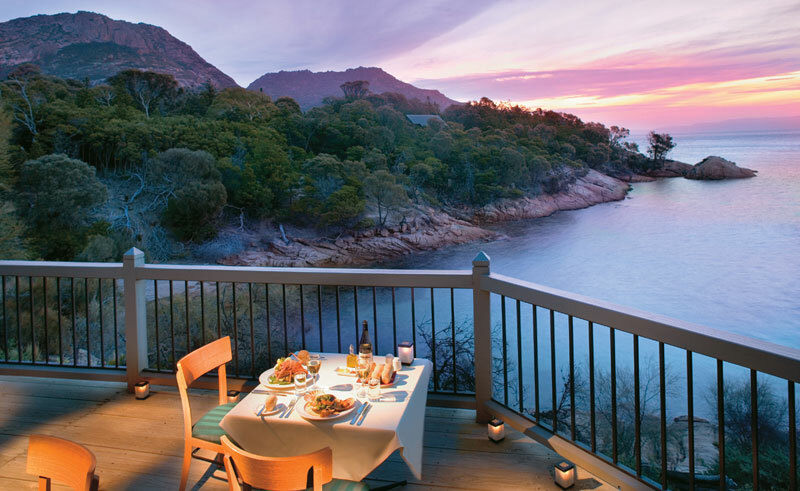 Approximately 2.5 hours drive south east of Launceston, the sixty cabin Freycinet Lodge is found inside Freycinet National Park and within walking distance of Wineglass Bay. 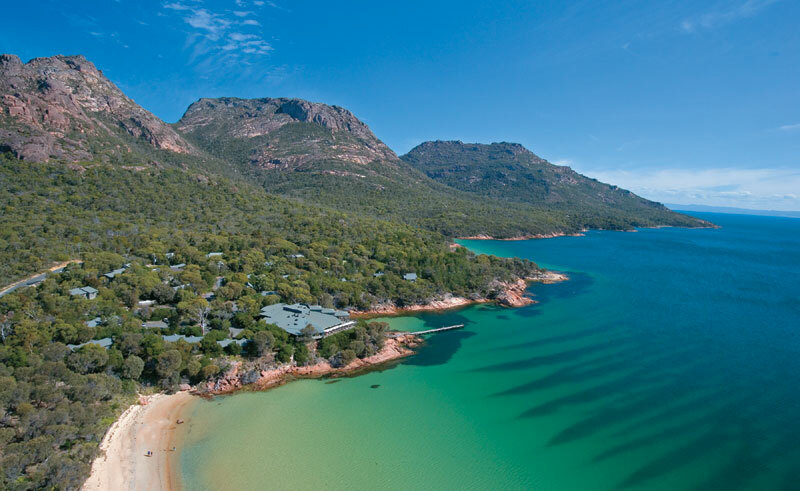 Named one of the ten best remote beaches on earth, Wineglass Bay is a coastline at its finest, but there’s more to do here than bum on the beach and the hotel offers a range of excursions in the wildlife rich surroundings. Winery tours, wildlife watching, sea kayaking and scenic flights and cruises are all on offer and don’t forget to pack your walking shoes as there are plenty of challenging tracks for every skill level. Two restaurants in the main building feature a panoramic view and reasonably priced casual dining. 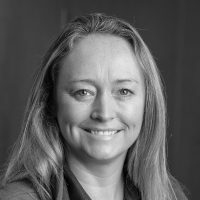 And if you aren’t able to visit one of Tasmania’s vineyards for yourself, the Bar offers a fine selection of the region’s beers and wines. The Lodge has been thoughtfully designed to work in harmony with the natural beauty of its surroundings. It offers a range of comfortable accommodation, from tastefully appointed one and two bedroom cabins to exclusive couples’ retreats. Stylish yet simple, the cabins are designed to offer welcoming familiarity and warmth without the intrusion of telephones or television. 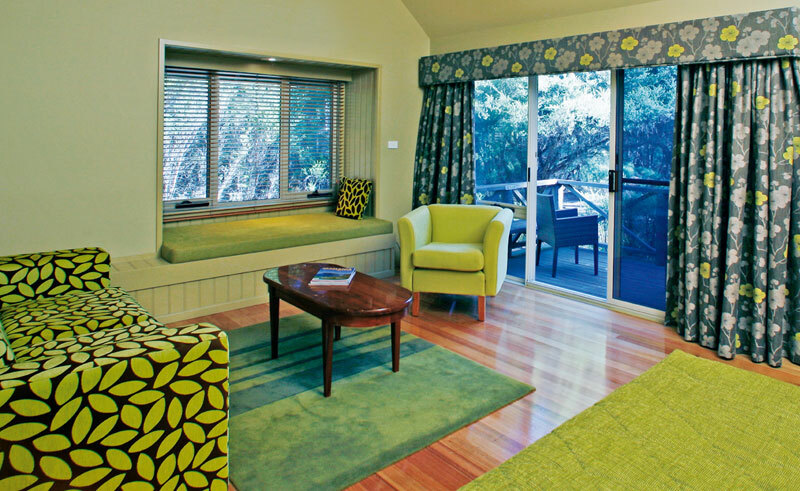 PLEASE NOTE: A two night minimum stay applies at Freycinet Lodge. 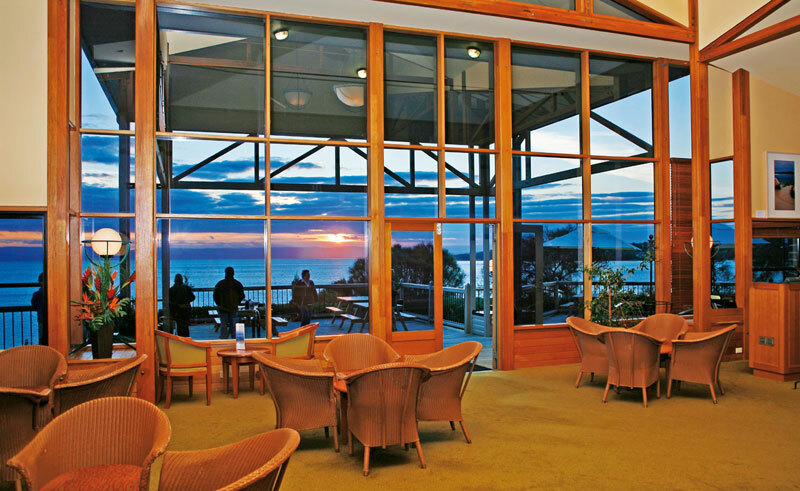 As Freycinet Lodge is located within a pristine National Park, entry fees do apply, to be paid locally – passes are available from the visitor information centre at the entrance to the park or Freycinet Lodge reception. Prices for a 24 hour vehicle pass currently start at $24.00, subject to change.